For the first time since the late 1700s, a remote island on Canada's West Coast has been declared free of invasive rats, making way for the recovery of an endangered seabird. For the first time since the 1700s, a remote island on Canada's West Coast has been declared free of invasive rats, making way for the recovery of an endangered seabird. Parks Canada says Arichika Island in Gwaii Haanas National Park was infested with rats that arrived long ago on colonial merchant ships. 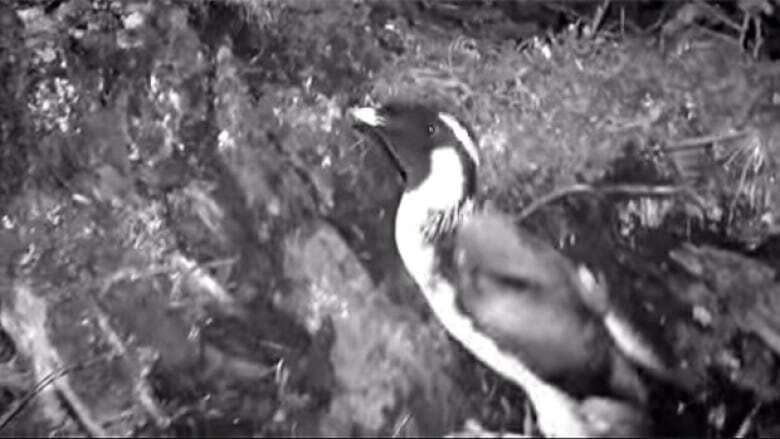 The rodents preyed on several species on the island, including a tiny bird called the ancient murrelet, which is listed under Canada's Species at Risk Act. The island is one of several that have been targeted by Parks Canada and the Haida Nation for the removal of the invasive rats, under a program launched in 2011. According to traditional knowledge, the ancient murrelet, called SGin Xaana or "night bird" in the Haida language, was once abundant on Arichika Island and a seasonal food source for the Haida. Approximately half of the world's population of ancient murrelets breeds on remote islands in Haida Gwaii. The west coast archipelago of Haida Gwaii is home to 1.5 million nesting seabirds, many of which nest on remote islands in Gwaii Haanas National Park. The removal of the rats is expected to increase the seabird's population. Scientists say already they have seen the population of other species on the island bounce back, including black oystercatchers and dusky shrews. Gwaii Haanas National Park superintendent Ernie Gladstone believes he's seen the last of the troublesome rats. "One of the reasons that Arichika was chosen was because of the low risk of the re-invasion. It's far enough from other islands that have known rat populations that we're confident that it won't be re-invaded," said Gladstone. Gladstone adds that it will now be up to Haida Gwaii residents to make sure rats aren't re-introduced to the island. Are Tofino's hot springs running cold after earthquake?